My sister was in my office the other day and felt the need to comment on my chair. Apparently it "makes a funny noise" and sits "on a weird angle." I took personal affront to this. It seemed just a bit insensitive, given my current status as woman/chair hybrid. As any student or real estate agent knows, location is everything. You can't just sit anywhere, on any old thing. 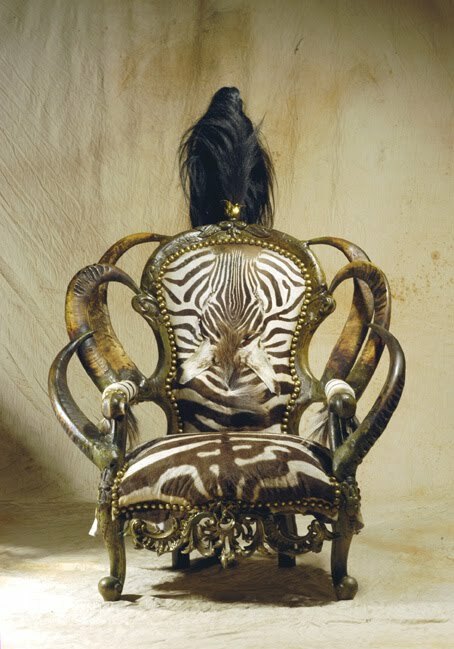 My chair is special. We commune with each other. It sits on a weird angle because I sit on a weird angle. It screams intermittently because it feels my existential pain. I will admit that the humble office chair is not the most exciting of topics. 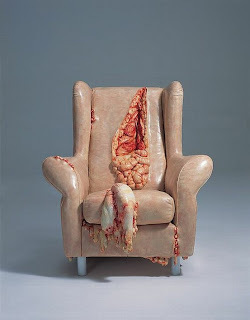 However, ruminating on the subject more generally led me to wonder if it were possible for a chair to be grotesque? 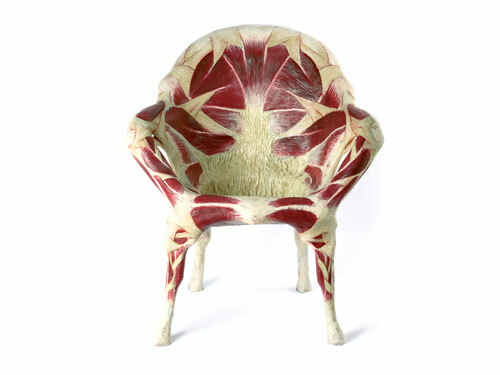 What would a grotesque chair look like? 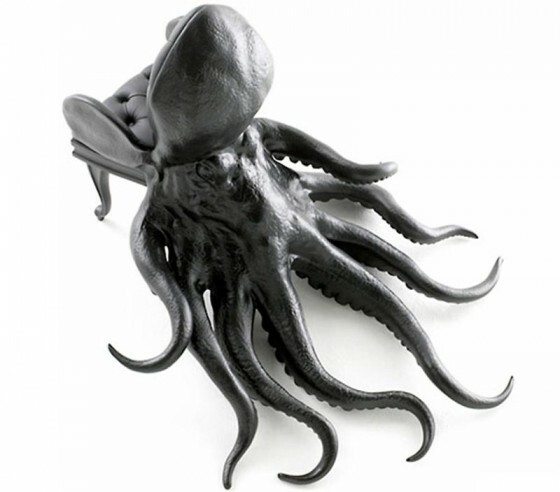 Maybe like Maximo Riera's Octopus Chair? Or a Crappy Taxidermy Chair? Maybe Simone Racheli's Meat Chair? 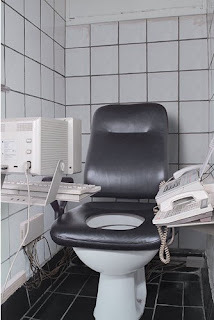 How about this practical invention, the Toilet Chair? OK... so maybe that's just a toilet. 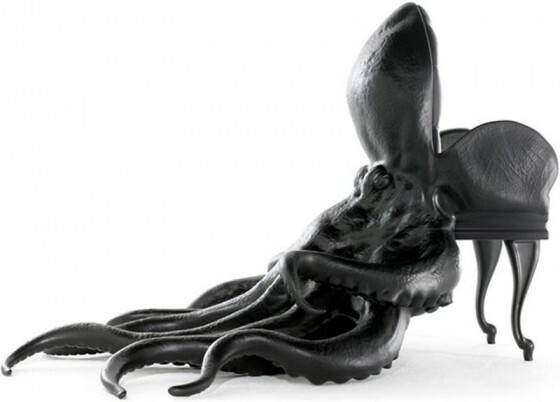 Not sure about grotesque, but they are all very creative in their own way. 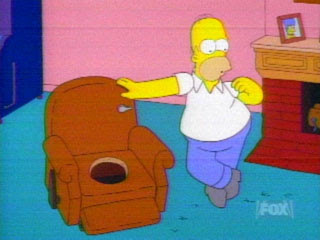 "The Lazy Man Toilet Seat is the toilet chair that Homer invented. Homer conceived of the chair as a way of going to the toilet while watching TV instead of having to go upstairs to use the toilet there, which Homer described as "the hardest thing in the world." While most of the family viewed this invention (and most of Homer's other ones) as "awful," Bart liked the chair. He was about to use it ("Gangway! Gotta poop!") when Marge stopped him, saying that she didn't want him going to the bathroom in the living room." oh octopus chair, creepy. Didn't Homer invent the toilet chair? Recently completed a PhD on the grotesque. I enjoy long walks in cyberspace and colourful pants.